The RA and RAHS couplings are offered in two different styles. 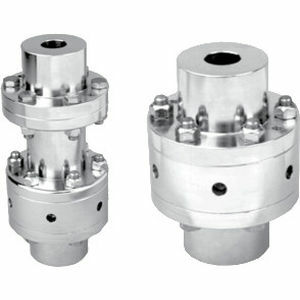 Type II coupling consists of two rigid hubs, adjusting nut and split ring and split ring for motor bub. Type IV coupling consists of two rigid hubs, adjusting nut, split ring for motor hub and spacer.